Ada Palmer is a professor in the history department of the University of Chicago, specializing in Renaissance history and the history of ideas. Her first nonfiction book, Reading Lucretius in the Renaissance, was published in 2014 by Harvard University Press. She is also a composer of folk and Renaissance-tinged a capella vocal music on historical themes, most of which she performs with the group Sassafrass. 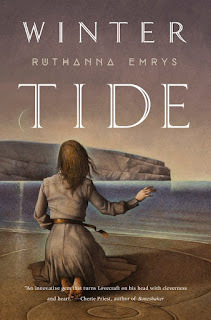 She writes about history for a popular audience at exurbe.com and about SF and fantasy-related matters at Tor.com. 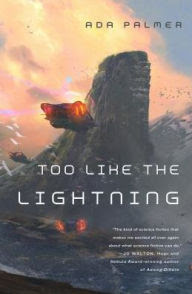 Palmer's debut fiction book is Too Like the Lightning. Because I’m a historian and a comics/manga reader as well as a lover of science fiction and fantasy, I’m always reading several different things at once, some F&SF, some comics, and some delightful weird historical things. Having the three categories to jump among, and lots of books going at once, helps me fit in little slices of reading into corners of time between tasks, which is the only way I can get any leisure reading in between writing and teaching and working on history research, and it lets me always have something I can read to get into the mood to work on any given project. At the moment I’m reading three of each: three history books, three comics, three F&SF. My current oddball history choices are Orlando Furioso by Ludovico Ariosto (1516), The Miracles of King Henry VI (translated 1923) and The Miscellaneous Works of Charles Blount Esquire to Which is Prefixed the Life of the Author and an Account and Vindication of His Death (1695). 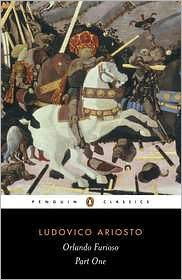 Orlando Furioso is a huge, over-the-top Arthurian fantasy epic, written in the Renaissance but very Medieval in structure. It’s packed with knights, paladins, sorceresses, warrior maidens and Saracen champions, all wandering around having absurd adventures which are constantly interrupted by other absurd adventures, jumping from POV to POV to leave maximum cliffhangers at every turn. It has everything from globe-hopping hippogriffs to “the tomb of Saint Merlin,” an amazing fantasy overdose, though best read slowly short chunks at a time. The Miracles of King Henry VI is a collection of accounts dating from the reigns of Henry VI’s immediate successors Edward IV and Richard III in which people claimed they were rescued, blessed, cured or even resurrected by the ghost of murdered King Henry. These stories were collected to try to evaluate whether Henry VI should be considered a saint, and it’s fascinating for showing how much medieval people linked kings/aristocrats and saints together in their minds. And since Game of Thrones is very much based on the Wars of the Roses, it’s extra fun to imagine the same kinds of accounts being written in Westeros about dead leaders. As for the Charles Blount, he was a notorious radical Deist philosopher in the 17th century, an associate of Thomas Hobbes, so his works and the description of his suicide are great windows on a formative moment in the history of religious radicalism, and public acceptance/hostility toward it. My current comic book binges are Astro City (Kurt Busiek), Dorohedoro (Q Hayashida), and A Silent Voice (Yoshitoki Ōima). 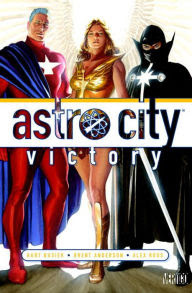 Astro City is a beautiful humanizing superhero series, with a setting which invokes the hero-saturated worlds of Marvel and DC, but focusing on ordinary people’s experience of living in such a world, and on the more ordinary emotional sides of the heroes too. If you’ve ever wanted Superman and Wonder Woman to sit down themselves to talk about what it means that she’s a feminist symbol, or how a real, realistic person would feel caught in a comic book alternate future time travel loop, here you have your wish. 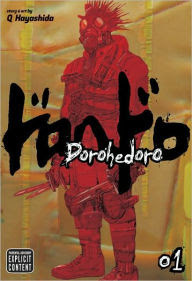 Dorohedoro is a playfully violent urban grunge fantasy series with really amazing devil-centric world building a fabulous starting hook: its male lead has three problems, (A) amnesia, (B) an unknown sorcerer has turned his head into a dinosaur head, (C) if he grabs someone in his huge dinosaur jaws, a mysterious figure comes up out of his throat, looks at the person, and says “You’re not the one...” and then goes back down his throat again. What the?!?! And despite its action style and gory punk aesthetic it’s subtly feminist in an awesome way, since the female characters have exactly as much development and focus as the male characters (I made a chart! ), and when someone gets kidnapped, rescued, fridged, or sleeping beautied, or is motivated solely by love, it’s often male characters that get plugged into those traditionally female roles, which makes the plot and characters take a lot of twists you’d never predict. 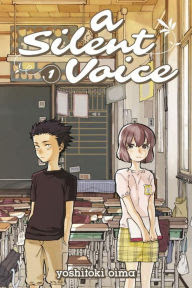 But my biggest cliffhanger at the moment is A Silent Voice, a touching slice of life manga about a deaf girl and a boy who bullies her in elementary school, and how the long-term consequences of bullying culture affect them both over the years as they grow up. I usually go more for fantasy or science fiction but the tender, realistic characterization and serious conflict here has me checking every week for a new volume. 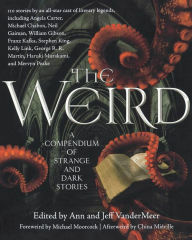 As for F&SF, I’m in the middle of The Weird, a big fat anthology of weird horror short stories edited by Ann and Jeff VanderMeer. 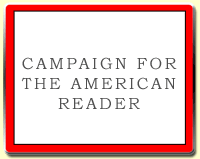 The stories are organized chronologically and start in the 19th century, including lots of works by non-Anglophone authors. I love it because you get to know the style of each decade by reading lots of now-obscure authors, and then when you get to the famous ones like Kafka or Lovecraft you can suddenly see which aspects we associate with them were really signatures of that era, and which were unique to them. 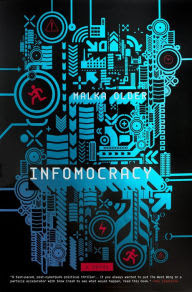 I’m also lucky enough to get books in advance from Tor sometimes, so I’m getting to start Malka Older’s Infomocracy (out in June) which is a very savvy near future political action novel about elections in a post-nation political system, very fun to compare to my own post-geographic-nation system in Too Like the Lightning, though mine is set a few centuries further in Earth’s future. I’m also getting to sneak an advanced look at Ruthanna Emrys’s Winter Tide (out in April 2017), a novel I’ve been looking forward to all year, a sequel to her amazing short story “The Litany of Earth” which uses Lovecraft’s amazing horror world but turns his xenophobia on its head by reversing the perspective. Those nine between them mean there’s always something I’m in the mood for, unless what I want is comfort reading. For that I’m also re-listening to Derek Jacobi’s audiobooks of the unabridged Sherlock Holmes and Fagles’ translation of Homer’s Iliad, and rereading Tristram Shandy and Gene Wolfe’s Book of the New Sun. I’m always re-listening and rereading those four, and as soon as I get to the end I wrap around to the beginning, since they’re so meaty one can chew on them forever. Which is just right for me. The Page 69 Test: Too Like the Lightning.